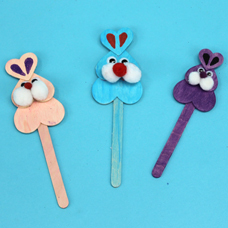 Paint and stack wood shapes to create bunny puppets for Easter! 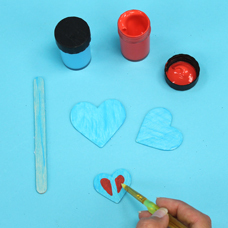 Collect a large heart, medium heart, small heart wood shape and 1 regular craft stick. 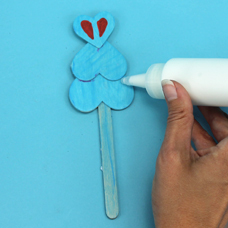 Paint each shape with acrylic paint and set aside to dry. 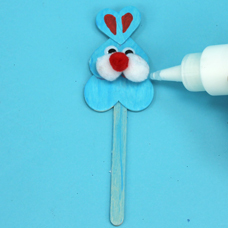 Tip: on the top heart paint the shape shown as the inside of the bunny’s ears. Once the shapes are dried arrange as shown on the craft stick and use craft glue to secure. 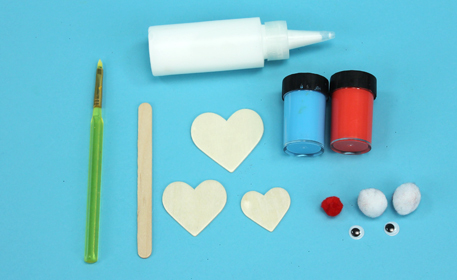 Glue Wiggly Eyes, 2 medium white poms and 1 red small pom onto the center heart to create the bunny’s face. 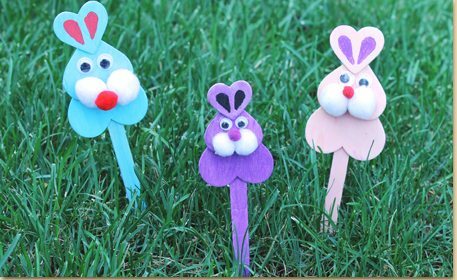 Repeat these steps to create additional bunny designs with other wood heart shapes.